ESWT Shockwave is a treatment applied by your Sports and Exercise Medicine Physician for specific conditions such as plantar fasciitis, tennis elbow, golfers elbow and insertional patellar and achilles tendinopathies. 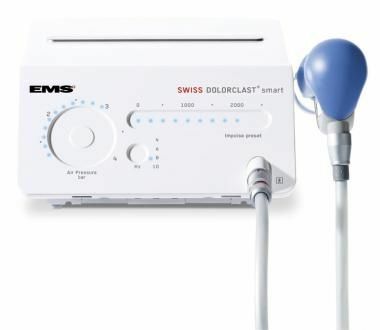 Based on an entirely new concept in the treatment of chronic tendinopathies of the musculoskeletal system, the Swiss DolorClast® device produces radial shock waves. A projectile in the handpiece is accelerated at high speed by means of precisely controlled bursts of compressed air. When the projectile strikes the applicator inside the handpiece, its kinetic energy is converted into a mechanical energy force. This energy is transmitted along the applicator without creating any noticeable movement. The shock wave energy is then emitted at the tip of the applicator and applied to the patient’s affected tissue. To minimize transmission losses - which would occur in the air between applicator and skin interface – contact gel is used to guide the shock wave.